The services offered at the Visitor Centre include an introduction to the aviation world to anybody of any age and above all with any interest. Our knowledge is kept alive by the expertise of our volunteers and the careful attention to detail in our research. For those wishing to experience the world of aviation we have regular airport guided tours and our Visitor Centre is full of interesting displays relating to Shoreham's history. If history is your interest, the Archive houses a massive collection of photographs and literature dating back 93 years. In addition, we also publish a quarterly journal which contains a large degree of research material. The journal covers the 93 years of Shoreham Airport's history. The people, the aircraft, the companies, the incidents and the ever changing architecture and you'll even find many unseen illustrations and photographs from past years. All subscribers to 'The Archive & Shoreham Aviation Review' become members of the 'Shoreham Airport Historical Association' and receive the following: At least 4 editions of the quarterly 'The Archive & Shoreham Aviation Review', free use of the Archive's Reference Library, and free unlimited entry on our Airport Guided Tours and Hangar Visits. Shoreham can boast one of the most comprehensive archives of all general aviation airports. We are always delighted to hear from anybody interested in Shoreham, from veteran pilot to general visitor. Our Airport Guided Tours are designed to be informative, educational and, above all, enjoyable. School groups of any age are made very welcome as we can fulfil the needs of the National Curriculum - Air Transport section, through to retired persons groups who want an enjoyable day out recalling their past service days, Shoreham was operational in both World Wars! Individual visitors are welcome to join one of our many public tours but booking in advance is essential. There is a small charge made for the Guided Tours. The Centre contains many examples of memorabilia from Shoreham's distinguished past in addition to the souvenir sales counter for the casual visitor to the airport. Amongst our sales items there are a number of inexpensive leaflets detailing Shoreham's history, the 1930's Art-Deco Terminal Building. Our projects are very carefully selected to promote the Archive and to supply our visitors with a good understanding of how technology has developed at Shoreham. At present we have a 1910 Lee-Richards Annular Biplane replica which provides an excellent tool in which to explain the differences in aircraft in the pioneering years and also represents an early design of aeroplane which was later to be developed at Shoreham into a successful monoplane. Our current project is to recreate a full-size Piffard Humming Bird Biplane, the first aeroplane to fly from Shoreham. 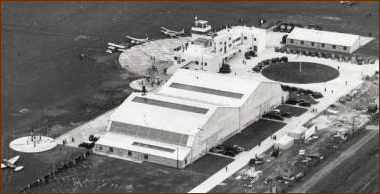 The journal covers the 93 years of Shoreham Airport's history. The people, the aircraft, the companies, the incidents and the ever changing architecture and you'll even find many unseen illustrations and photographs from past years. All subscribers to 'The Archive & Shoreham Aviation Review' become members of the 'Shoreham Airport Historical Association' and receive the following: Advance Notice for future Aeronautical-related Excursions, Free use of the Archive's Reference Library and free unlimited entry on our Airport Guided Tours. The Journal is available both over the counter and by subscription. “Hawaii was awesome… I wish we could have stayed there forever,” said Linda as she looked on to the window at Continental America as Hawaii become farther and farther away. “I also wish we could have stayed there longer but we have lives to get to,” said Sheldon a bit briskly. Linda didn’t care though, she was happy. This is the happiest she had ever been and considering everything. Sheldon would be fast asleep in no time. She wish he would stay awake with her and together they would recount the moments on Waikiki beach or at the waterfall at the volcano or the deep diving expedition of coast of Oahu. But she knew better, she knew her man and she knew he wasn’t the reminiscing type. Although with this trip he had sort come out of his cocoon and romanticized her in ways she never thought he would. But she knew better than to wait for a man to make her happy. She knew what a waste it was to wait for him to pop the question and only turn up with pharmacy bought earrings. She knew better. There was Steve, and then came Hale and worse of them was Sam. At least with the others she knew it was purely physically with as little string as possible. And when they walked away when the fire had died down, she was sad yes but she got over it the moment the door slam shut. But Sam had promised the world. He used to take her trips like this ever so often and he made himself the best version, almost like the dream catch. Only to turn out to be a worthless piece of junk who bailed at the first sign of trouble. And he left her shattered, broken and dejected. Though Sheldon wasn’t much, he was a lot compared to Sam. She slowly stroked his hair as made to all too similar comparison between the too. And finally she decided she had dodged a bullet. She was better off with Sheldon, he was steady and he was good to her. And two years down the line he was intending and confident. “Ladies and gentlemen, we will arrive shortly at the Shoreham airport. Please fasten your seat belt as we prepare to land,” said a voice on the overhead speakers. “That was fast,” said a groggy Sheldon as he waked back to life. Moments later they were walking towards the baggage claim area. Linda could not wait to tell her friends of her two week get way with her boyfriend. “Hold up,” Sheldon said as, he took her hand to stop her in her tracks. “OK,” retorted Linda annoyed that he was not moving any faster. There is no admission charge to the Visitor Centre, although we do ask for a small donation if you should feel your visit worthwhile.